Nightwish acaba de confirmar turnê pela América Latina e está excursão será bastante especial! 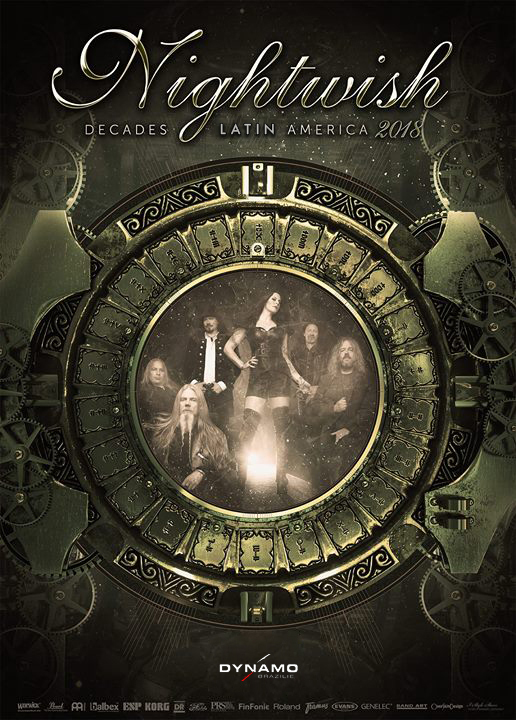 O NIGHTWISH está preparando sua nova turne e estará na América Latina durante Setembro/Outubro de 2018. Para a “DECADES: WORLD TOUR 2018”, a banda finlandesa vai preparar setlist com diversas músicas do começo de carreira, com novos arranjos e jamais executadas ao vivo. Prepare-se e nao perca esta oportunidade! Nightwish will finally tour again in 2018 and this will be a very, very special one. Nightwish will have a special setlist for this tour, featuring rarely heard material from the earlier era, and excitingly for both band and fans, they will revisit the old songs with some new twists. This setlist will be a ‘one-off’ and only performed on this ‘DECADES: WORLD TOUR 2018’. Be prepared..